Ms. Risman graduated from Boston University in 1994 with a B.A. in International Relations. She received her J.D. from Touro Law School in 1997. She is a member of the New York State Bar, as well as the United States District Court for the Eastern District of New York and the United States District Court for the Southern District of New York. Ms. Risman has been a civil litigator representing victims in personal injury, medical malpractice and discrimination actions for over 16 years. 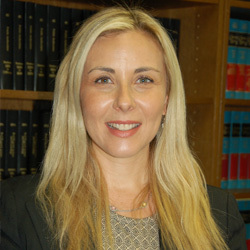 Ms. Risman has a broad range of experience handling a variety of New York employment law matters, but concentrates her practice in the representation of aggrieved employees in complex employment discrimination claims based on gender, age, race, national origin, religion, disability, sexual orientation, pregnancy, sexual harassment, as well as retaliation.